At Neighbors Moving & Storage, our experienced and friendly relocation specialists work with you, your family or business to ensure every detail is covered. Its the attention to detail that has made your friends and family recommend Neighbors Moving & Storage for over 60 years. 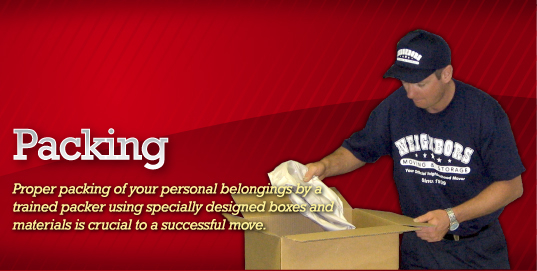 It is our belief that customers deserve optimal service from moving and storage companies. That is central to why our professional, uniformed Neighbors personnel are clean, courteous and efficient. 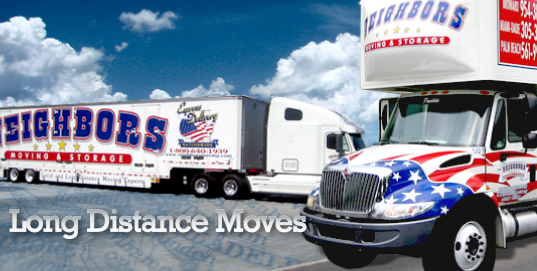 Our brightly painted trucks are equipped to adequately service all of your moving needs. As one of the leading moving and storage companies, we ensure that all of your furniture and possessions are fully padded with thick movers pads for extra protection. The items are then carefully and professionally packed in a Neighbors moving truck in a manner that best protects your possessions. Few moving and storage companies match our excellent reputation for honesty, integrity and quality. Whether youre moving across the street,across town or across the country, Neighbors Moving & Storage will be there from start to finish. By sharing your experience with Neighbors Moving , it will help other customers to make a right choice of using this company.